Home Blog What Is the Typical Italian Home Like? What Is the Typical Italian Home Like? Before you begin working your way to foreign language fluency, it helps to understand the culture behind the language you’re learning. After all, language exists to help a group of people express their ideas and beliefs. Italy is an old country with a rich history and culture. As you begin your Italian language program, gaining a strong grasp on this history, the values, and the etiquette will help you rapidly achieve success. In particular, Italian housing is very different from U.S. housing in a lot of ways. Even if you plan to buy a house in Italy, many experts recommend that you rent for at least six to eight months before beginning your house search. You should do this during the part of the year with the worst weather. People from outside of Italy often make the mistake of buying a home during the spring or fall, when the weather is nearly perfect, then end up regretting their decision during the summer and fall months, which can be terribly hot or cold. If you choose to rent, the process is much easier and spaces are easier to find than homes for sale. There are many types of houses and apartments available to rent that can suit different sorts of needs. If you are looking to find a furnished (“ammobiliato”) rental, you may be out of luck, as those are rare. Most apartments come unfurnished (“non ammobiliato”). Most furnished rentals are usually for short-term periods only, although this may be perfect if you want to figure out if the region is the right one. However, you may be able to find some places that come semi-furnished so that you do not have to furnish the entire space. 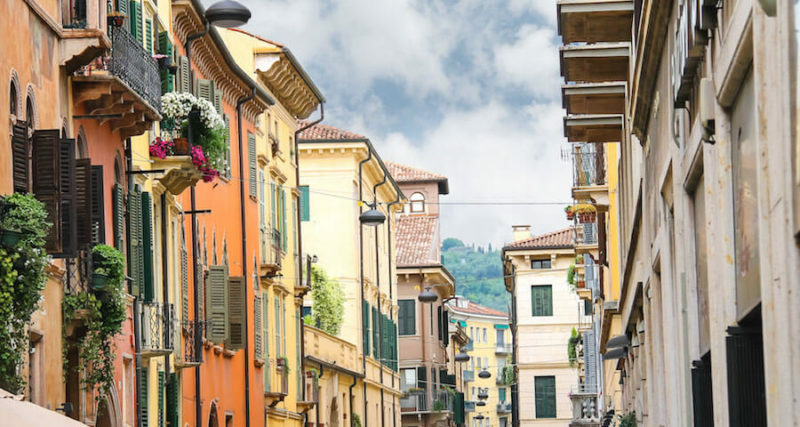 Graeme Chester’s Living and Working in Italy (see Further Reading) offers helpful advice on finding a place to rent or buy. When buying a home, he suggests avoiding looking for a place during September and October, as that is when most Italians return from their summer vacations and become focused on finding a place to live. While school and the job market are very similar to what can be found in North America and other parts of Europe, adult life is quite a bit different in certain parts of Italy. For the most part, it’s still considered a tradition that Italians will live with their parents until they get married. This means that it’s not that uncommon to see someone who is in their mid-thirties still living with their parents. Even after marriage, mainly because the economic issues gripping the country, it’s not so unusual to see a married couple living with one set of parents. In general, many child related events are still a very big part of the regular customs of Italy, particularly welcoming a new child into the family. Not only does the family get excited for the birth of a new child, but the entire block usually gets in on the fun. It is considered the father’s duty to make sure that they buy a rosette, either blue or pink, for the front door to announce the child. They must then register that a child has been born inside of ten days after the birth. One of the reasons children are so celebrated is because the birth rate in the country is still relatively low. As of 2014, the birth rate in Italy was just 8.9 per 1,000 people. While the economy was partly to blame, most think the decrease of new Catholics in the country is having an effect as well. Experts in this area have long said that one of the reasons the population isn’t falling quite as quickly as it might normally fall is because there has been more migration into Italy than in the past years. This isn’t going to help the country in the long run, as Italy has one of the oldest populations in the country. Only Germany has an older population in Europe. Italian houses often have a “loggia,” which is a balcony on the top floor that is open to the outside. Many houses also have a basement “taverna.” This room is sort of like a playroom or recreational room for adults. People frequently use these spaces to host parties or barbecues. These “taverna” are found in newer houses, but are reminiscent of the old Italian hunting lodges. The “taverna” may have a fireplace, a wine area, and rustic furniture. People who live in “condomini” (apartment buildings, which are like the American condominiums) often use these spaces to hang out with friends because the space is considered a public area for residents. “Condomini” may dedicate the spaceto the celebration of“Ferragosto” in mid-August or Liberation Day on April 25. When deciding whether to rent or buy, it is necessary to consider how long you will be staying in Italy. If it is less than five years, it is likely more economical to rent. If it is longer, you may want to consider buying a house (although a six month rental period is advised prior to making a purchase). Real estate is expensive, so you may have to search for a while before finding a house that is both comfortable and affordable. You may want to consider a “condominio.” These buildings have many homes centered around a common area, often with a swimming pool, garden, and other amenities. These amenities, and the maintenance of the facility, are shared between the “condominio” owners. If you decide to buy into a “condominio,” read your contract carefully and make sure that you are able to use all of the facilities offered. In Italian cities, most people live in rented apartments. In the smaller suburbs and villages, people live in single-family homes. Housing in Italy may be different than what you are used to. The real estate market can be steep and housing can be difficult to find. When someone makes the decision to move into their own home, they may wait several years before finding an available space. Apartments in Italy tend to be on the smaller side, and you find it is difficult to locate an available apartment with three bedrooms. Despite the size, Italians put a great deal of effort and money into decorating their homes. They use premium materials, including stone, marble, and wood. The country is known for its ceramics, and Italians take advantage of that in their home décor, often use ceramic in their kitchens and bathrooms. In the bathroom, you will usually find both a toilet and a bidet. Washing machines also tend to be found in the bathroom rather than the kitchen, which is where it is in other parts of Europe. When you buy a house or rent an apartment, you will likely have to furnish it with everything. This is because when Italians move, they take almost everything with them, including the most basic furnishings. Your new neighbors should be able to point you towards carpenters and artisans who can help you install any new furnishings your home might need. Italian homes do not usually have carpet; instead they have mattsand parquet floors for the bedrooms.